Hubs on "The Control of Nature"
Read about the terrifying ordeal of waking up to an active volcano erupting just outside your front door and how a town was sacrificed. A look at John McPhee's several examples of failed attempts to control nature in "The Control of Nature." They are given to illustrate that people are the mercy of the elements. 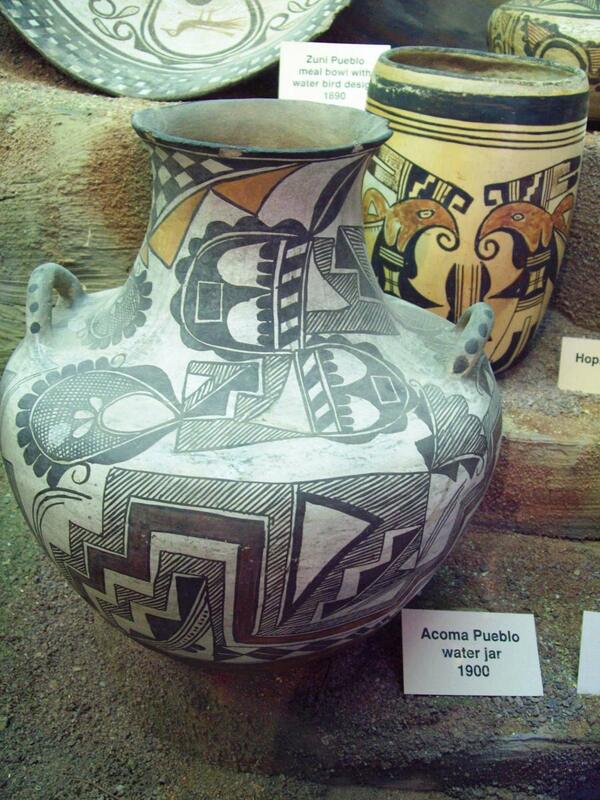 The legends and stories of Native American origin have been passed down from one generation to the next in each tribe or pueblo. Many Native American beliefs emphasize that their existence in North America has been since the formation of Earth; however, scientific evidence is mounting that suggests Native Americans came to North America via the Bering Strait land bridge some time between 10,000 and 45,000 years ago, as seen in figure 1. This period was during the late Pleistocene epoch (McCoy, 2003). The world’s climate and condition was very different during this time because a glacial period, or Ice Age, was taking place. The climate during this phase allowed Native Americans to migrate to North America via the Bering Strait land bridge and wander south as far as the end of South America during the Holocene epoch. The first Americans migrated to North America at about the same time the last glacial maximum occurred, about 21,000 years ago. The last glacial maximum is proven to be colder and permeated with ice. 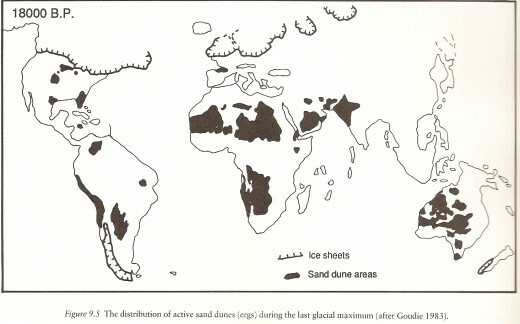 For instance, the extent of the Laurentide ice sheet that covered about half of North America can be seen in figure 2. The overall effect of this glacial period made the ocean level lower worldwide. Evidence for this is found in the Aeroporal Palmata coral. They indicate that the sea level was lower because they grow just below sea level. By measuring the height of older reefs it is estimated the sea level was about 120 meters lower than it is today (Fawcett). This theory is also supported by CLIMAP, a reconstruction of the earth with many different known parameters of the climate taken into account. The CLIMAP model of the last glacial maximum indicates that larger ice sheets made the seal level lower than it is presently, see table 1 (Ruddiman, 212). CLIMAP estimated the change in sea level to be between 109 and 129 meters, these findings correlate well with the Aeroporal Palmata coral record. The lower sea level and the fact that today “the Bering Strait is a relatively shallow passage averaging 100 to 165 feet in depth” ("Bering Sea and Strait"), it is clear the passage between Northeast Asian and North America is possible, as seen in figure 3; and that early Native Americans probably used this passageway to cross into North America. Outlines good practices while writing college essays for sciences courses or scientific papers for publication. The migration from Northeast Asia to North America would have been much colder than today because the glacial temperatures of the earth were colder during the late Pleistocene epoch. It is estimated that the average temperature was 2o to 6o C colder than present today. 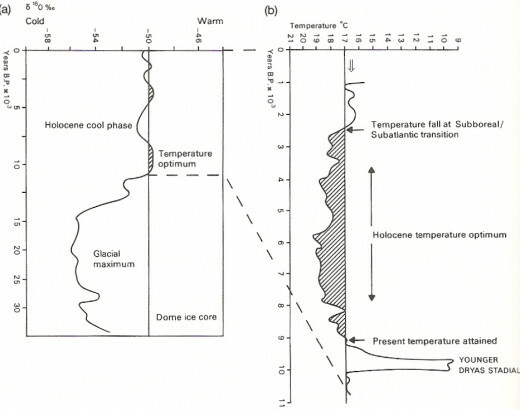 Records supporting this cooling are seen in figure 4 where the δ18O isotopic composition of an ice core from the Dome Ice-Core in Antarctica illustrates the temperature 30,000 to 10,000 years ago as being much colder (Goudie, 160). The δ18O composition indicates global temperatures because the δ18O composition is more positive during glacial periods. More evidence for temperature variation is also seen in figure 5 where a compilation of ocean cores made of deep sea sediments from around the world show a cooler climate in a variety of ways (Goudie, 6). The δ18O isotope found in an Atlantic Ocean core shows a cooler temperature between about 45,000 and 10,000 years ago (Graph F). Furthermore, ratios of cold to warm forams of the Polar Front in the northeast Atlantic Ocean also show a cooling during about the same range (Graph B). A temperature 2o to 6o C change may not seem very drastic; however, a 2o to 6o C cooling is what made the last glacial maximum so cold during the passage of early Americans into North America. The Native American migration already plagued with cooler conditions was probably accompanied by atmospheric wind blown dust too. Evidence found in Greenland ice cores indicates that this glacial period had “ten times as much fine dust as interglacial layers” ( Ruddiman, 214). The fact that dust is present in large amounts suggests that the glacial period was also much drier because it allowed a large amount of dust to be carried in the wind. North America was also affected by this wind blown dust; as illustrated in figure 6 sand dunes were present in central North America and in Florida. The presence of dust indicates that a drier climate may have made agricultural food sources improbable for Native American tribes; therefore, they must have been nomadic hunters. Cold, arid temperatures may have driven herds of animals like mammoths into North America, allowing the first Americans to roam freely throughout North and South America. The free wandering Native Americans encountered climatic conditions very different in contrast to present day. For example, the Pacific Northwest was much drier than today and the present day Southwestern United States was much wetter (Fawcett). 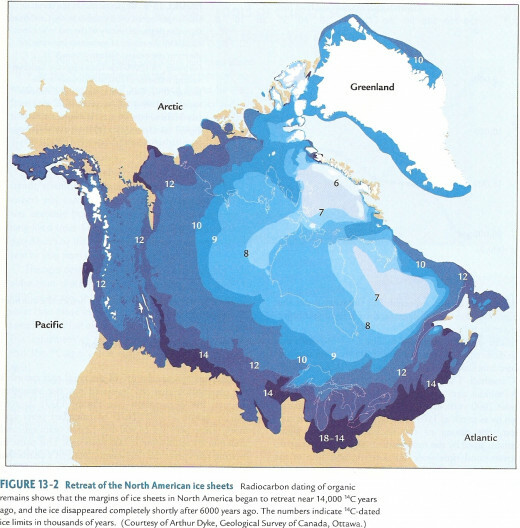 This change was probably caused by the southern position of the jet stream due to large amounts of ice in the present day Great Lakes region, as shown in figure 7 (Ruddiman, 219). 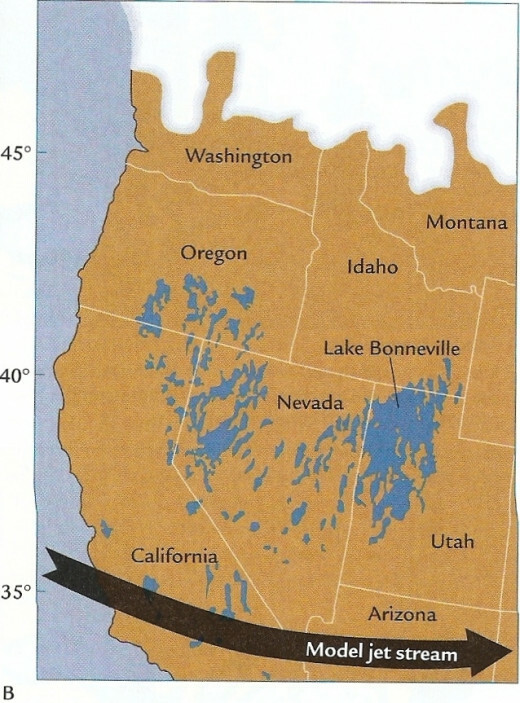 In addition, the much wetter Southwest was saturated with many pluvial lakes, such as LakeBonneville in present day northwestern Utah. These pluvial lakes reached their greatest area during the last glacial maximum and by about 5,000 years ago they were nonexistent. The position of these lakes may have been a key factory in the distribution of Native Americans and the resources they had to live on. The exact quantity of these Natives Americans is not known but their “large numbers made it presumably easy to moved south down the Canadian plains corridor between the Cordilleran and Laurentide ice sheets when it opened near the end of the last glaciation some 12,000 years ago” ("Pre-Columbian civilizations"). 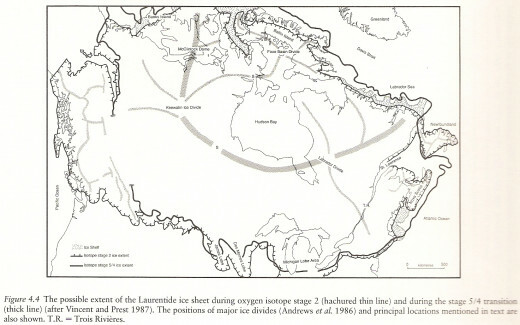 Following their arrival and dispersal into North America the great glacial ice sheets, such as the Laurentide ice sheet, began to melt. The retreat of these ice sheets in North America is dated by using “radiocarbon dating of material found in, under, or atop hundreds of moraines deposited by the ice” (Ruddiman, 230). As seen in figure 8, ice sheets may have started melting as early as 18,000 to 14,000 years ago. 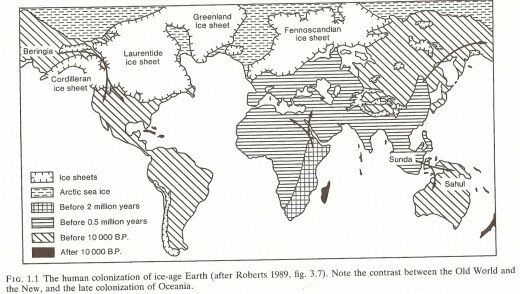 In addition, most of the amount of ice in present day United States disappeared by about 10,000 years ago. 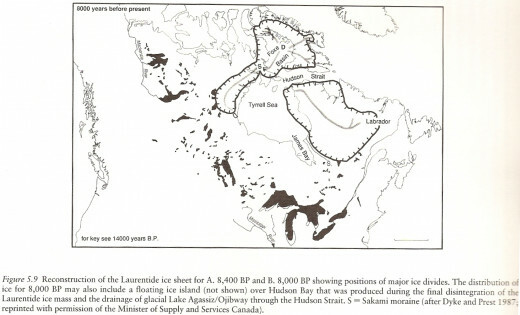 However, “the final melting of the Laurentide ice sheet was not completed until near 6,500 BP” (Dawson, 73), see figure 9 for comparison of Laurentide ice sheet at the last glacial maximum. With the retreat of ice sheets Native American tribes may have been able to thrive in the warmer climate of North America during the Holocene epoch. The temperature during the early Holocene was warmer than today. It may have been this warm temperature that allowed the survival of Native Americans in North and South America. Evidence for this warm climate is seen in CO2 peaks during interglacials and ice sheet remnants (Fawcett). It has been proven from ice cores that CO2 reaches a maximum during interglacial periods. 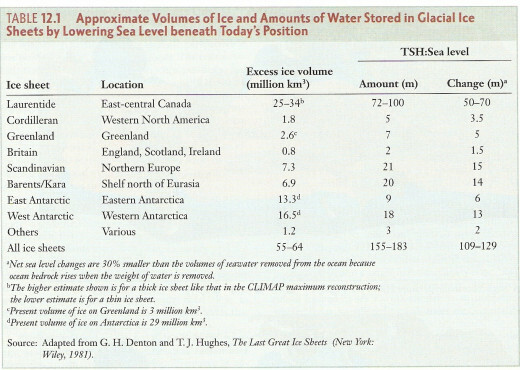 In addition, ice sheet melting occurred much faster during this time, causing the sea level to rise (Ruddiman, 232). The migration south and east for Native Americans may have been accomplished because of these warm temperatures. As a result of the warm temperatures and melting glaciers many glacial lakes pervaded North America while Native Americans were dispersing throughout present day Canada and United States. These glacial lakes formed because “as the ice sheets melted back, the land in front of them remained depressed for sometime rather than immediately rebounding to its former…into these depressions poured meltwater from the retreating ice sheets” (Ruddiman, 238). Many of these glacial lakes were of immense size and some of their locations highlight the difference in climate from the early Holocene until present day because they are located where present day deserts exist, (refer to table 2 and figure 10). The addition of more water resources allowed Native Americans to scatter across all of North America without limitations; however, the catastrophic drainage of glacial Lake Agassiz and Ojibway caused major worldwide temperature fluctuations about 8,000 years ago (Dawson, 100-1). It is estimated that this caused the sea level to rise 0.2 to 0.4 meters in about 2 days (Dawson, 101). This kind of drastic change in such a short time may have shut down the worldwide current known as the North Atlantic Deep Water for a couple hundred years and cause a cooling (Fawcett). 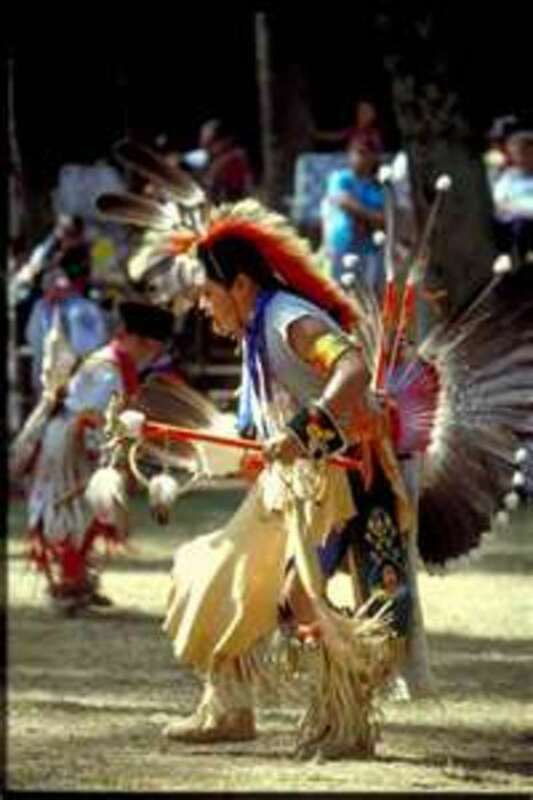 Native Americans adapted to this sudden change in temperature but many other species did not adapt as easily. Although Native Americans survived, some controversy arises during this period because the “extinction of many genera of large mammals, including mammoths, mastodons, ground sloths, and giant beavers” ("Pleistocene Epoch"). 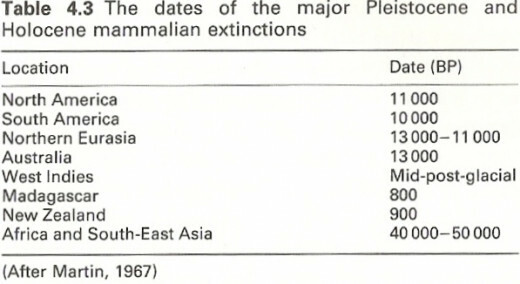 The extent of the extinction was world wide; the dates are listed in table 2. It is argued that the advancement of hunting skills in humans may have caused the event; however, some argue that sudden environmental changes caused the demise of many of the world’s mammals (Goudie, 142-3). The former argument has been speculated due to the fact that other species humans would not eat also died out. The latter argument emphasizes the drastic change from colder temperatures of the glacial period to the warmer temperatures of the interglacial period. During this time animals, such as the mammoth, were unable to adapt to changing vegetation growth pattern and changing migration patterns quick enough to survive; consequently, they became extinct (Goudie, 142-6). The extinction of many sources of food caused Native Americans to adapt by many different resources. The twenty first century Native American Woman is still fighting for survival. A short hub on the many things Native American woman are and are stereotyped to be. Is this what you think Native Americans are? A short hub on what Window Rock means to the Navajo people. A comparison and contrast between the works of Leslie Marmon Silko, Jane Johnson Schoolcraft, and Zitkala Sa on the traditional role of Native American woman in society and family settings. A scientific study on soils in northern New Mexico. A look at traditional Native beliefs in a modern world. Native American survival was entirely dependant on the climate because it determines the style of living for individual tribes. 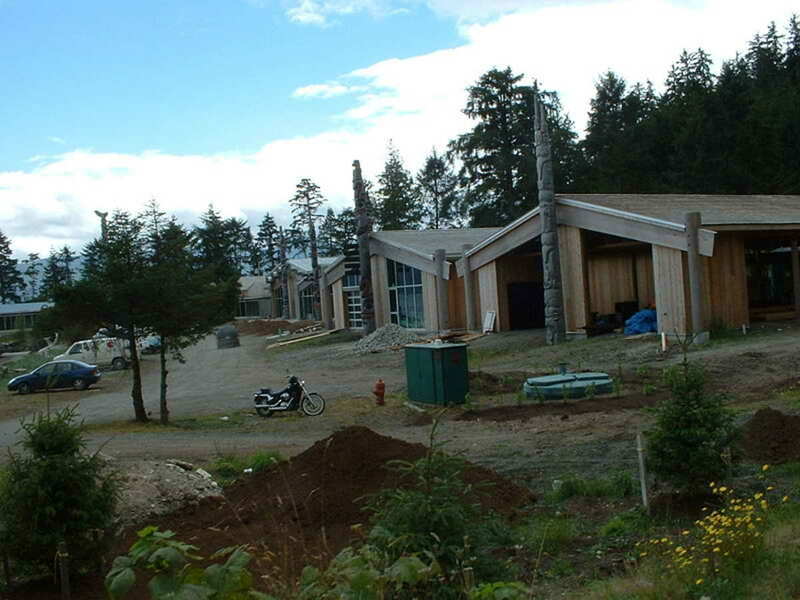 In the northwest coastal area, tribes, such as the Kwakiutl and Tsimshian, were sedentary hunters who hunted sea mammals, land mammals, fish, and gathered wild berries and fruit for survival. In the plains area tribes like the Arikara and Sioux were sedentary farmers who grew food like corn, squash, and beans; they also traded with other tribes for buffalo meat. The tribes in the southwest, including the Apache and Aztec were both nomadic and sedentary people who ate deer, rabbits, corn, squash, beans, and many more varieties (“North American Natives”). The abundance of a variety of food in different areas demonstrates the normalcy of the climate from the mid Holocene to the present. The overall climate of North America varied and different Native American tribes adapted to their environment for the sake of survival. The migration and dispersal of Native American tribes throughout North America was made possible by the climate during the last glacial maximum. The glaciers made the sea level drop and allowed the passage across the Bering Strait possible for Native Americans. 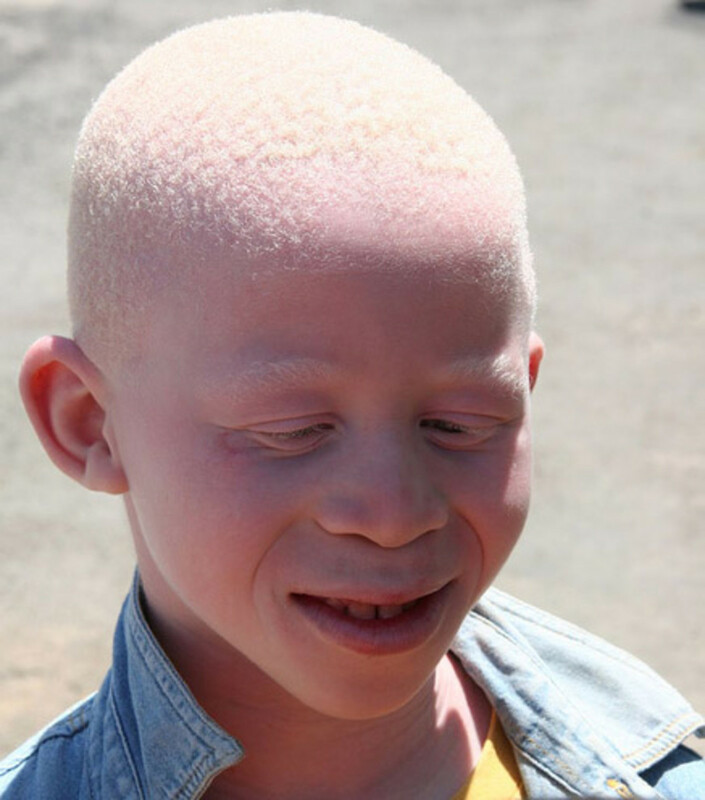 Then when the interglacial began near the beginning of the Holocene the warm temperatures allowed Native Americans to thrive, even though many other species around the world perished for unknown reasons. The climatic conditions in which these early Americans migrated were intense, the extreme cold and dusty atmosphere made the likely hood of survival minuscule; however, perseverance and determination allowed Native Americans to be the first inhabitants of North America and, later, South America. "Bering Sea and Strait." Encyclopædia Britannica. Encyclopædia Britannica. 16th ed. Chicago: Encyclopedia Britannica. 2008. Vol. 2. pg 172. 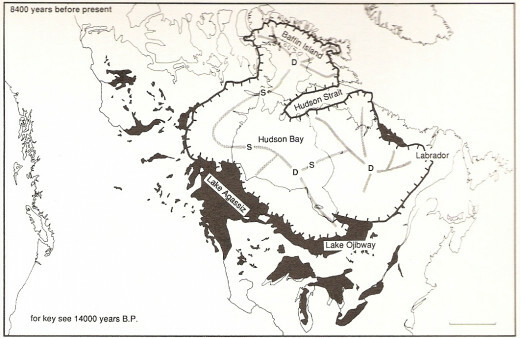 Dawson, Alastair G. Ice Age Earth: Late Quaternary Geology and Climate. New York: Chapman and Hill, Inc. 1992. Fawcett, Peter J. 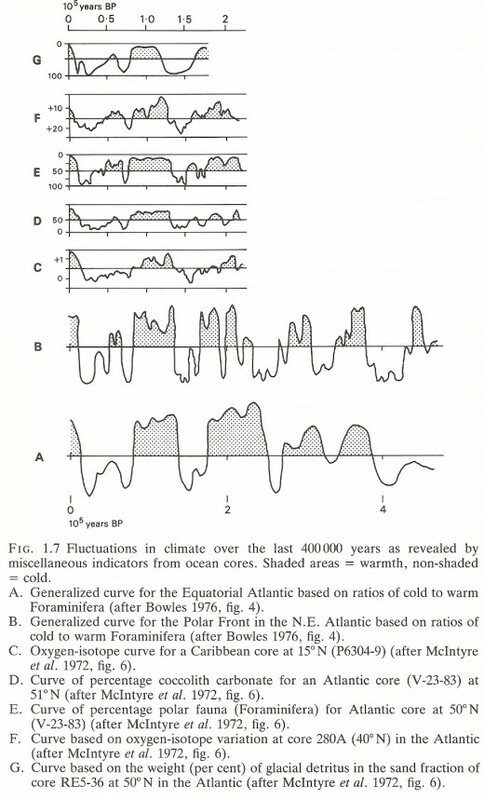 “Paleoclimatology.” Earth and Planetary Sciences 439: Paleoclimatology. University of New Mexico, Albuquerque, NM. 7 April 2008-25 April 2008. Goudie, Andrew. Environmental Change: Contemporary Problems in Geography. New York: OxfordUniversity Press 1992. “Natives, North America.” Columbia Encyclopedia. Vol. 13. pg 346. McCoy, Lezlie B. “November is National Native American Awareness Month.” The Philadelphia Tribune. 25 Nov. 2003, Vol. 120, Iss. 3; pg 2. "Pleistocene Epoch." Encyclopædia Britannica. Encyclopædia Britannica. 16th ed. Chicago: Encyclopedia Britannica 2008. Vol. 9. pg 253. "Pre-Columbian civilizations." Encyclopædia Britannica. Encyclopædia Britannica. 16th ed. Chicago: Encyclopedia Britannica. 2008. Vol. 9. pg 287. Ruddiman, William F. Earth’s Climate: Past and Future. 2nd ed. New York: W.H. Freeman and Company. 2008.